But I May Wear That Someday…..
Because the reality is that I have lots of clothes in my closet that I don’t need or particularly want. It’s completely against my character, as in all other areas of my life, I have no problems getting rid of things. 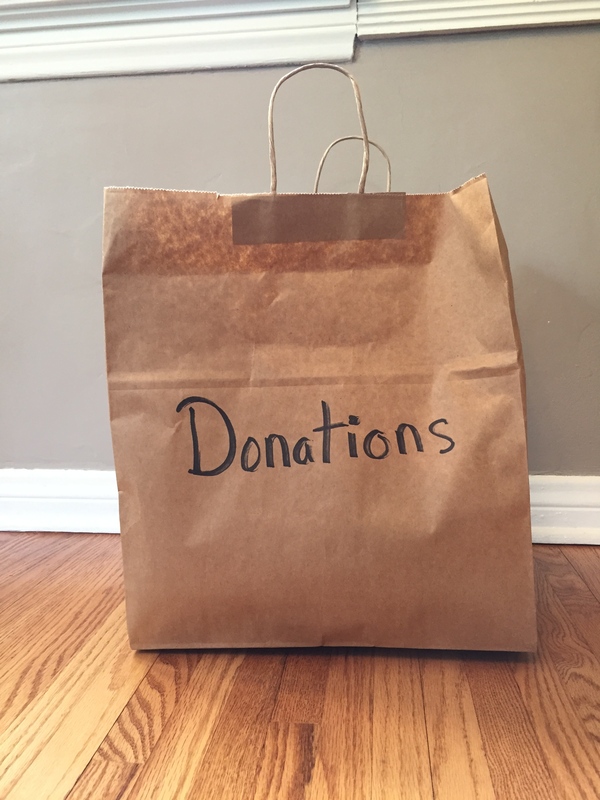 I can fill a donation bag, or even a trash bag, in record time and without a second thought. But for some reason, I’m still hanging onto that pink t-shirt I bought at the outlet mall four years ago, which I’ve worn exactly once. I also still have the tank top I wore to a neighborhood reunion in 2005, and the sweater that I am wearing in the photo of my husband’s 43rd birthday dinner is still in my dresser. My husband will be 60 this year. It’s not that I have these clothes stashed away, where they can be “out of sight and out of mind.” (That’s how we managed to keep my husband’s green leisure suit for the first ten years of our marriage. It was in a bag of his old clothes which he moved from house to house, but never actually opened.) 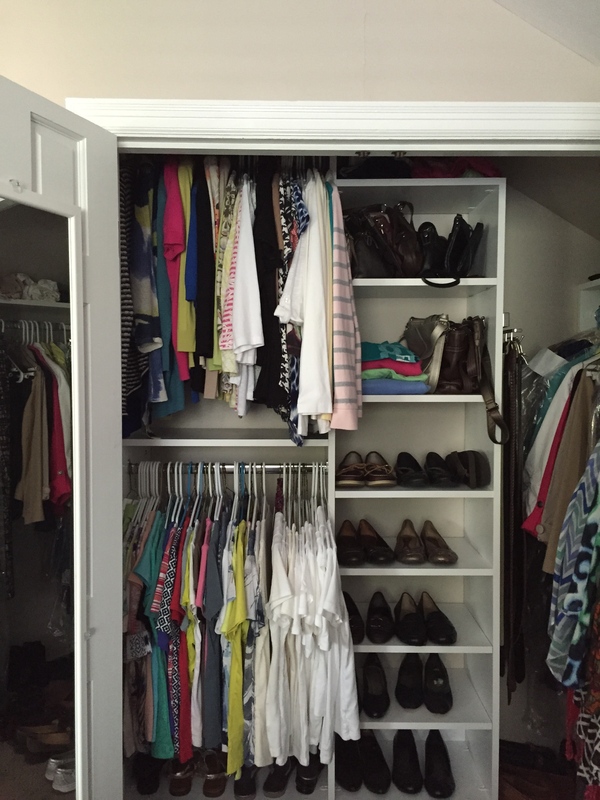 My closet is a bit small, so I store out-of-season clothes in bins and I actually go through them each spring and fall, and I do designate several items each time for the Goodwill. Yet I still manage to keep far too many tops, sweaters and dresses that I don’t wear, or at least that I haven’t worn in the past decade. Maybe the problem is that I didn’t have very many clothes during my teenage years, when I was very self-conscious about such things. Or maybe it’s that I believe in reusing and recycling things whenever possible, as I am all too aware of the growing problem of too much trash in our local landfills. But I have to remember that clothes can’t be kept forever, even if I am still wearing them. I should have figured that out after the time I wore a pair of jeans to the point where they were so frayed that they ripped right up the back seam. I didn’t know the rip was there until my son pointed it out at dinner time, and I had worn those jeans all day. I just have to let go of the idea that I may actually want to wear that black velvet jacket to a party someday, or that I am going to look at a blouse that I haven’t worn in six years and suddenly think, “That’s exactly what I want to wear today!” It seems that my wardrobe is my personal and final hurdle in my goal to living a simplified and clutter-free existence. And it’s way past time to clean out that closet, once and for all.